In broad terms, this book covers Porsche’s air-cooled, rear-engined competition models from the 550 to the 917. More specifically it also includes Formula 2 and 1 cars because of their connection to or evolution from the cars in the World Sports Car Championship and Grand Touring Prototype classes but it excludes the 911 (except for the 911R that ran in the Grand Touring class, rallies and saloon car racing) because it is not a dedicated competition model. 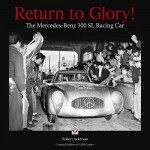 And, a further clarifier: the book is about the racing and not the technical history. The cars’ development and specs are referenced only insofar as they have a bearing on specific aspects of the races. 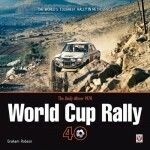 Veteran motoring journalist Anthony Pritchard has followed Porsche racing for pretty much five decades and among his many books are several on this marque. 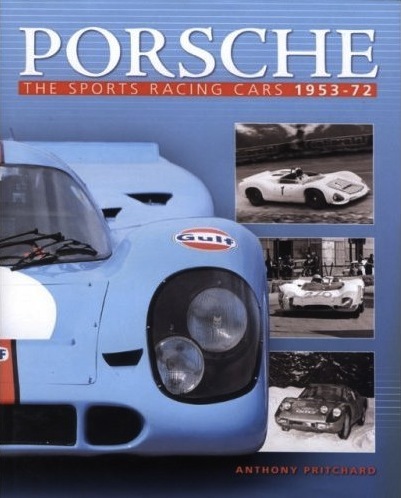 There are quite a number of Porsche books that cover this same era and almost the same set of models but Pritchard’s book contains much more text, which, one a more subjective note is also exceedingly well written. Furthermore, this book has Appendices that others don’t: bios of the leading drivers of the period accompanied by b/w period portraits; technical specs of the models discussed in the main body of the book along with a bullet-point timeline of key developments (of note here would be the 917 specs that, for the appendix, are culled from Porsche’s 1969 press release but are different from the car’s actual specs; the differences are called out); racing results divided by year and series/event and showing race number, driver/s, car, result; a table of World Championship results showing the top 3 finishers and number of points; 917 chassis numbers; and lastly Porsche engineer Hans Mezger’s 1972 paper to the Institute of Mechanical Engineers titled “Porsche 917: The Inside Story” as originally printed in The Motor and accompanied by the introduction written by that magazine. The Introduction is required reading inasmuch as it addresses the methodology behind power output figures (DIN vs SAE) and, more importantly, untangles the rather convoluted story of how the various racing series evolved, largely in response to spectator expectations. An introductory chapter picks up the thread of Porsche history in 1944 and lays the groundwork for the subsequent in-depth coverage of the various sports racing models. Their story is told by model, which, in racing cars more or less fits the chronological history because the reason one model is phased out is that its successor is ready to go to work. The text describes race action, noteworthy events and people, and car performance. The writing, for lack of a better word, is more analytical than visceral, an impression only enhanced by the absence of quotes or the like. (This is meant merely as a descriptive comment, not a qualitative one.) The later years and especially the 917 are covered in greater detail than the others, perhaps because Pritchard has a particular affinity for that time and that car. He attended most of the European races of that time and was friendly with John Wyer’s Gulf team. Few photos are smaller than 1/3 of a page. They come from a variety of official and private sources, some are new to the record, and only a very few are fuzzy. All are extensively captioned. The photos are strictly of cars and personnel at race venues; there are no auto show and only a few workshop photos and no track maps, posters or engineering drawings. And just so you’re not forgetting you’re looking at a Haynes book, all color photos are bundled into two stand-alone sections. 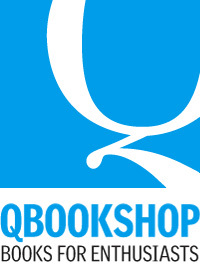 Students of book design should make note of the treatment of running heads and feet: simple, effective, and different—but with minimal effort and no fussiness. 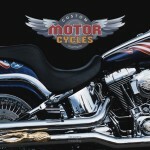 There are also a good Bibliography and separate Indeces for cars, people, and races. The book ends in 1973 but Porsche’s racing history certainly did not—maybe Pritchard will write a follow-up volume!